The Brattleboro Selectboard will hear their first request for an exemption from the relatively new Plastic Bag Ordinance. Zephyr Designs is making the request. Culture Made Vermont will get lots of goodies, mileage will be certified, an EPA grant applied for, liquor permits approved, and nearly final FY20 budget thoughts presented. You can weigh in on spending Rooms & Meals taxes on promotions and the precedent it sets, or bring up other items not on the agenda during public participation. “The Brattleboro Selectboard will meet on Tuesday, January 22, 2019, in the Selectboard Meeting Room at the Municipal Center. It is anticipated that the Board will enter into executive session at 5:15pm to discuss labor relations agreements with employees, the negotiation of a real estate sale or lease, and the employment or evaluation of a public officer or employee. The Board will reconvene for the business meeting at 6:15pm. ASL interpreters will be available for deaf and hard-of-hearing community members. A. Special Event Permits – Brattleboro Luv Crawl (i) American Crafted Spirits, Inc., d/b/a Silo Distillery at Renaissance Jewelry, 151 Main St. (ii) Caledonia Spirits at Altiplano, 42 Elliot St. (iii) Charles Dodge, d/b/a Putney Mountain Winery at Brattleboro Bicycle Shop, 165 Main St (iv) Cold Springs Spirits, d/b/a Mad River Distillers at Cara Wolff Jewelry Shop, 4 Elliot St. (v) Lawson’s Finest Liquids, LLC, at Downtown Brattleboro Alliance, 106 Main St. (vi) Saxtons River Distillery at A Candle in the Night, 181 Main St. (vii) Shacksbury, LLC, d/b/a Shacksbury Cider at Beadniks, 115 Main St. (viii) Vermont Distillers, Inc., at Twice Upon A Time, 63 Main Street (ix) Vermont Spirits Distilling Co., at Windham Movement and Apparel, 2 Elliot St. (x) Wild Hart Distillery at Taylor for Flowers, 15 Elliot St. The following will summarize the proposed motions for the Selectboard meeting on Tuesday, January 22, 2019. The Board will meet in executive session at 5:15pm to discuss labor relations agreements with employees, the negotiation of a real estate sale or lease, and the employment or evaluation of a public officer or employee. The Board will reconvene the business meeting at 6:15pm in the Selectboard Meeting Room. (i) American Crafted Spirits, Inc., d/b/a Silo Distillery at Renaissance Jewelry, 151 Main St. (ii) Caledonia Spirits at Altiplano, 42 Elliot St. (iii) Charles Dodge, d/b/a Putney Mountain Winery at Brattleboro Bicycle Shop, 165 Main St (iv) Cold Springs Spirits, d/b/a Mad River Distillers at Cara Wolff Jewelry Shop, 4 Elliot St. (v) Lawson’s Finest Liquids, LLC, at Downtown Brattleboro Alliance, 106 Main St. (vi) Saxtons River Distillery at A Candle in the Night, 181 Main St. (vii) Shacksbury, LLC, d/b/a Shacksbury Cider at Beadniks, 115 Main St. (viii) Vermont Distillers, Inc., at Twice Upon A Time, 63 Main Street (ix) Vermont Spirits Distilling Co., at Windham Movement and Apparel, 2 Elliot St. (x) Wild Hart Distillery at Taylor for Flowers, 15 Elliot St. The Board is asked to approve 10 special event permits for the 10 downtown locations that will be participating in this year’s Luv Crawl event. All of the required paperwork is in order and Town staff recommends approval of the requested permits. After the Selectboard acts on this matter, final action will be taken by the Vermont Department of Liquor Control. POTENTIAL MOTION: TO APPROVE THE ISSUANCE OF THE FOLLOWING SPECIAL EVENT PERMITS FOR THE “BRATTLEBORO LUV CRAWL” EVENT ON THURSDAY, FEBRUARY 7, 2019, FROM 5:00PM TO 10:00PM: AMERICAN CRAFTED SPIRITS, D/B/A SILO DISTILLERY, AT RENAISSANCE JEWELRY, 151 MAIN STREET; CALEDONIA SPIRITS AT ALTIPLANO, 42 ELLIOT STREET; CHARLES DODGE, D/B/A PUTNEYMOUNTAIN WINERY, AT BRATTLEBORO BICYCLE SHOP, 165 MAIN STREET; COLD SPRINGS SPIRITS, D/B/A MAD RIVER DISTILLERS, AT CARA WOLFF JEWELRY SHOP, 4 ELLIOT STREET; LAWSON’S FINEST LIQUIDS, LLC, AT DOWNTOWN BRATTLEBORO ALLIANCE, 106 MAIN STREET; SAXTONS RIVER DISTILLERY AT A CANDLE IN THE NIGHT, 181 MAIN STREET; SHACKSBURY, LLC, D/B/A SHACKSBURY CIDER, AT BEADNIKS, 115 MAIN STREET; VERMONT DISTILLERS, INC., AT TWICE UPON A TIME, 63 MAIN STREET; VERMONT SPIRITS DISTILLING CO., AT WINDHAM MOVEMENT AND APPAREL, 2 ELLIOT STREET; AND WILD HART DILSTELLERY AT TAYLOR FOR FLOWERS, 15 ELLIOT STREET. The Board is asked to approve a Water and Sewer Allocation to be issued to Brattleboro Real Estate Holdings III, Inc., for the Culture Made Vermont project at 343 John Seitz Drive in the Exit One Industrial Park. After a review of the application materials submitted by Culture Made Vermont, it has been determined by Town staff, the Town’s consulting engineers from Aldrich & Elliot, and the State of Vermont’s Wastewater Division that Culture Made Vermont’s proposed utility usage will not negatively impact the Town’s ability to serve current and future utility customers. The proposed approval includes a total allocation of 44,789 gallons per day of water at a peak flow not to exceed 250 gallons per minute, a total allocation of 41,989 gallons per day of wastewater at a peak flow not to exceed 400 gallons per minute, and a total of 412 pounds per day of Biochemical Oxygen Demand. Numerous additional conditions are detailed in the Allocation Letter. Connection fees for the project will exceed $190,000, with anticipated quarterly utility payments of approximately $47,000. POTENTIAL MOTION: TO APPROVE A WATER AND SEWER ALLOCATION FOR CULTURE MADE VERMONT (IDENTIFIED AS PROJECT 17-028), TO BE ISSUED TO BRATTLEBORO DEVELOPMENT CREDIT CORPORATION REAL ESTATE HOLDINGS III, INC., LOCATED AT 343 JOHN SEITZ DRIVE IN THE EXIT ONE INDUSTRIAL PARK. 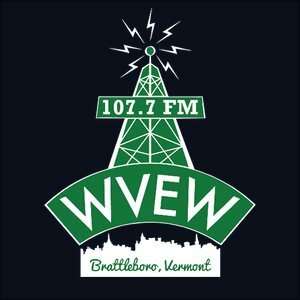 The Board is asked to authorize the Town Manager to execute an Engineering Services Agreement with Dufresne Group for final design of the water and sewer improvements that will expand the capacity of the utility systems serving the Exit One Industrial Park and the surrounding area on the south side of Brattleboro. The fee for the proposed engagement will not exceed $50,800. Staff is seeking to move forward with final design at this time in order to keep the utility improvements on a timeline that will support the Culture Made Vermont project during the upcoming construction season and because, even without the Culture Made Vermont project, these same improvements would eventually be needed to improve fire protection and overall utility capacity in that part of town. POTENTIAL MOTION: TO AUTHORIZE THE TOWN MANAGER TO EXECUTE AN ENGINEERING SERVICES AGREEMENT WITH DUFRESNE GROUP FOR A SUM NOT TO EXCEED $50,800 FOR THE FINAL DESIGN OF WATER AND SEWER IMPROVEMENTS AT THE EXIT ONE INDUSTRIAL PARK. The Board is asked to approve the sale of Lot 6 (now known as 343 John Seitz Drive) in the Exit One Industrial Park and to authorize the Town Manager to discharge a mortgage held by the Town for the same. Brattleboro Development Credit Corporation and the Town of Brattleboro partnered in the early 1980’s to build the industrial park. Initially BDCC was responsible to repay the Town for $1.4 million in grant funds the Town secured to facilitate the development. Years later, the terms were renegotiated to provide the Town with the net proceeds from the sale of each lot. However, given the length of time since this property was last sold, the carrying expenses far exceed the current sale price and therefore no net proceeds exist. As a result, staff recommends that the Board approve the sale and authorize the Town Manager to discharge the mortgage. POTENTIAL MOTION: TO APPROVE THE SALE OF LOT 6 (NOW KNOWN AS 343 JOHN SEITZ DRIVE) AND TO AUTHORIZE THE TOWN MANAGER TO DISCHARGE THE MORTGAGE HELD BY THE TOWN. The Board is asked to approve a Tax Stabilization agreement with Brattleboro Development Credit Corporation Real Estate Holdings III, Inc. for the proposed capital improvements to be made at 343 John Seitz Drive for the Culture Made Vermont project. The proposed 10-year agreement would result in payment of municipal property taxes on 35% of the value of these real estate improvements. The property owner also will continue to pay municipal property taxes based on 100% of the value of the property as it stands today and will pay state education property taxes based on 100% of the current and future value of the property. Culture Made Vermont qualifies for this level of tax stabilization based on the magnitude of the financial investment to be made in the property, the number of higher than average paying jobs to be created, and other factors set forth in the Town’s Tax Stabilization Policy. Culture Made Vermont did not seek tax stabilization on its business personal property, such as new equipment to be installed at the site. POTENTIAL MOTION: TO APPROVE A TAX STABILIZATION AGREEMENT BETWEEN BRATTLEBORO DEVELOPMENT CREDIT CORPORATION REAL ESTATE HOLDINGS III, INC., AND THE TOWN OF BRATTLEBORO TO PROVIDE 10 YEARS OF STABILIZATION AT 35% OF FAIR MARKET VALUE FOR REAL ESTATE IMPROVEMENTS TO BE MADE AT 343 JOHN SEITZ DRIVE FOR THE CULTURE MADE VERMONT PROJECT. THIS AGREEMENT SHALL APPLY ONLY TO MUNICIPAL PROPERTY TAXES AND NOT TO THE STATE’S EDUCATION PROPERTY TAX. B. FY20 Budget – (i) Rooms and Meals Tax – Proposal to Use a Portion for Promoting Brattleboro (ii) Continued Review & Possible Approval of Selectboard’s Recommended FY20 Budget for Consideration at Representative Town Meeting on March 23, 2019 The Board’s notebooks contain written information the Board requested on January 8 from the Brattleboro Area Chamber of Commerce and the Downtown Brattleboro Association regarding the proposal those two organizations have made jointly for 10% of the Town’s rooms and meals tax receipts to be devoted to promoting Brattleboro. The Board is asked to give further consideration to that proposal and then to decide whether or not the Board is ready to approve the proposed FY20 Budget for consideration at the Representative Town Meeting on March 23, 2019. POTENTIAL MOTION: TO APPROVE THE FY20 PROPOSED BUDGET AS PRESENTED FOR [or … AS MODIFIED DURING] THIS JANUARY 22 MEETING. C. Ordinance Amendments – Second Reading and Public Hearing (i) Chapter 16 (Traffic), Article VI (Stopping, Standing, and Parking), (a) Section 1 (Generally), Sub-Sections 16-93 (Overnight parking), and 16-96 and 16-96(a) and 16-96(b) (Parking after snowfall); (b) Section 2 (Parking Meter Areas), Sub-Section 16-111 (Operation of meters; permitted time, etc.) (ii) Appendix C (Regulations Governing the Control of Traffic), Article III (Parking Meter Areas), Section 16-110 (On-Street Areas) The Board is asked to hold a second reading and public hearing for the purposes of approving amendments to the Code of Ordinances to clarify regulations related to overnight parking in the Preston Lot during snow removal, to add metered on-street parking spaces on Frost Street west of Elm Street, and to modify the regulation of parking in the Elm Street Parking Lot. A. Financial Report – Monthly Report, December, 2018 Finance Director John O’Connor will present the monthly financial report. NO MOTION IS REQUIRED ON THIS ITEM. B. Request to Install Historic Site Marker – West Brattleboro Association The Board is asked to approve an historic marker proposed by the West Brattleboro Association for installation in the West Brattleboro village center to commemorate Glenwood Seminary and Brattleborough Academy. If the Selectboard approves this request, Town staff would provide the labor for installing the marker and any out of pocket expenses would be borne by the West Brattleboro Association. POTENTIAL MOTION: TO APPROVE A PROPOSED HISTORIC MARKER TO COMMEMORATE GLENWOOD SEMINARY AND BRATTLEBOROUGH ACADEMY. C. Request for Exemption from Plastic Bag Ordinance – Zephyr Designs The Board Is asked to consider the concerns of the owner of Zephyr Designs regarding the impact of the Town’s single-use plastic bag ban on that business and other art shops. If the Board believes the Town should provide the relief requested, then the Board should direct Town staff to prepare an ordinance amendment to add “art shops” or “frame shops” to the list of exemptions set forth in the plastic bag ban. D. VTrans Certificate of Highway Mileage – Public Works The Board is asked to approve the Certificate of Highway Mileage that the Town is required to file annually with the Vermont Agency of Transportation. POTENTIAL MOTION: TO APPROVE THE TOWN’S CERTIFICATE OF HIGHWAY MILEAGE FOR 2019. E. EPA Brownfields Assessment Grant Application – Planning Department The Board is asked to Authorize Town staff to apply for a $200,000 Brownfields Assessment Grant from the United States Environmental Protection Agency in support of the Town’s Municipal Brownfields Program. That program assists private businesses and landowners in assessing and correcting contamination on brownfield sites to encourage redevelopment of those sites. POTENTIAL MOTION: TO APPROVE AN APPLICATION FOR A BROWNFIELDS ASSESSMENT GRANT IN THE AMOUNT OF $200,000 FROM THE UNITED STATES ENVIRONMENTAL PROTECTION AGENCY. F. Annual Appointments for Ratification at Representative Town Meeting (i) Town Clerk (ii) Town Treasurer (iii) Town Attorney The Board is asked to re-appoint Hilary Francis as Town Clerk; John O’Connor as Town Treasurer; and Fisher & Fisher Law Offices, PC, as Town Attorney; all for one-year terms and all subject to ratification at the Representative Town Meeting on March 23, 2019. POTENTIAL MOTION: TO APPOINT HILARY FRANCIS AS TOWN CLERK, SUBJECT TO RATIFICATION AT THE REPRESENTATIVE TOWN MEETING ON MARCH 23, 2019. POTENTIAL MOTION: TO APPOINT JOHN O’CONNOR AS TOWN TREASURER, SUBJECT TO RATIFICATION AT THE REPRESENTATIVE TOWN MEETING ON MARCH 23, 2019. POTENTIAL MOTION: TO APPOINT FISHER & FISHER LAW OFFICES, PC, AS TOWN ATTORNEY, SUBJECT TO RATIFICATION AT THE REPRESENTATIVE TOWN MEETING ON MARCH 23, 2019. G. Annual Contract – Town Attorney The Board is asked to approve one-year contract with Fisher & Fisher Law Office, PC, for the provision of Town Attorney services. The agreement for 2019-2020 is identical to the agreement for 2018-2019, except for a 2% increase in the annual retainer to $108,201. FISHER & FISHER LAW OFFICES, PC, IN THE ANNUAL RETAINER AMOUNT OF $108,201. H. Draft Warnings for Town Meeting Election on March 5 and Representative Town Meeting on March 23 (i) Arts Fund Proposal (ii) Review of Draft Warnings The Board is asked to review the draft warnings for the Town Meeting Election on March 5, 2019, and the Representative Town Meeting (RTM) on March 23, 2019, including consideration of a proposal from one or more residents for an Arts Fund article to be added to the RTM warning. I. Schedule a Special Selectboard Meeting on January 29 at 6:15pm to Approve Warnings for Town Meeting and Representative Town Meeting (and the FY20 Budget, if necessary) The Board is asked to schedule a special meeting to be held on January 29, 2019, beginning at 6:15pm, to approve the warnings for the Town Meeting Election on March 5, 2019, and the Representative Town Meeting on March 23, 2019, and to approve the FY20 Budget if it was not approved earlier in this January 22 meeting. J. Review Status of 2018 Selectboard Goals The Board is asked to review progress of actions related to the Board’s 2018-2019 goals, as set forth in a “Status of Implementation” summary prepared by the Town Manager and included in the Board’s notebooks for this meeting. NO ACTION IS REQUIRED ON THIS ITEM.